Every Friday is a Spirit Day at Liberty Elementary School! Be sure your students have all the spirit wear they need. Don't forget Mom, Dad and siblings! Spirit Wear will be sent home with your children within days of ordering. 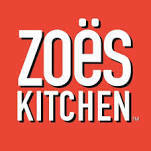 Need a night out of the kitchen? Take the kids out to eat and support Liberty ES PTA at the same time! We have partnered with local restaurants that have agreed to give a portion of the night's sales back to Liberty PTA. All you have to do is dine out at the restaurants listed below on the given dates, that's it! Box Tops Program - Earn Cash for Our School! The Liberty ES Box Tops Campaign has begun! Each Box Top is worth $0.10 and they add up fast! 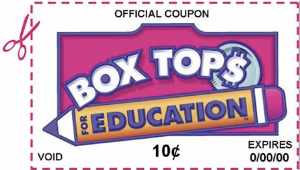 It’s time to start sending in your Box Tops to your child’s teacher (if dropping in the box in the cafeteria make sure to label the baggie with teacher’s name). The classroom that collects the most between September 8th and October 16th will earn an extra recess and an Office Max gift card for their teacher.